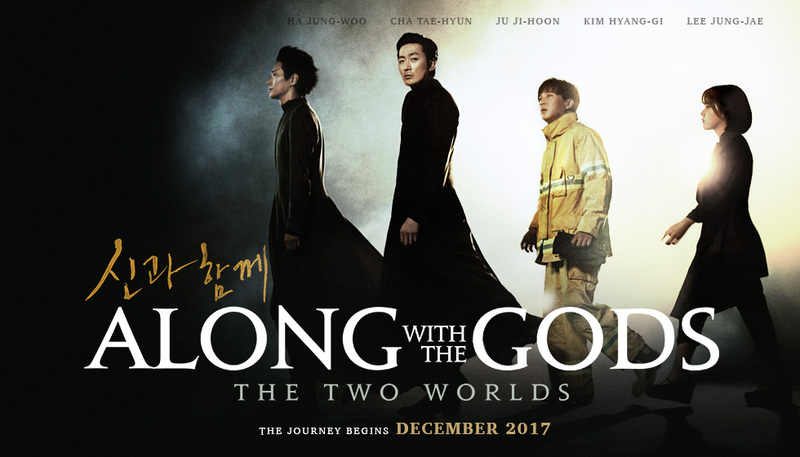 The 2017 blockbuster film, “Along With the Gods: The Two Worlds” has been invited to compete in the Brussels International Film Festival. The film festival is the Brussels International Fantasy, Fantastic, Thriller and Science Fiction Film Festival or BIFFF for short. The BIFFF is one of the premier film festivals dedicated to fantasy and thriller films in the world. Furthermore, since its establishment in 1983, BIFFF has honored and exposed some of the most exciting films in these genres. Notably, four Korean films have won the festival’s top award: The Isle (2001), Save the Green Planet! (2003), The Host (2006), and I Saw the Devil (2010). Along With the Gods was one of the most highly anticipated fantasy drama films of 2017. Born from the mind of Kim Yong-hwa, the film stars well-known actors Ha Jung-woo, Cha Tae-hyun, Ju Ji-hoon, and Kim Hyang-gi as the main cast of the film. Unfortunately, Kim Yong-hwa and the other actors will not be able to attend BIFFF due to their schedules. Currently, Along With the Gods is the second highest grossing film of all time in South Korea. It is just behind the historical drama Roaring Currents (2014) and right above Ode to My Father (2014). Meanwhile, Real Rise Pictures and director Kim are working on the film’s sequel. Additionally, due to past sexual misconduct of cast members Oh Dal-su and Choi Il-hwa, they have had to reshoot some scenes.